Deja Robinson is a young woman with big plans. “I take my education very seriously. I plan to be the first from my family to graduate from college, but I do not intend to be the last. I want to be an inspiration to my younger sisters.” She goes on to say that her first steps are being taken at Glendale Community College where she is going to obtain her Associates in General Education. Her next step will be to transfer to a university to complete Bachelors in Secondary English Education. Her long term educational goal is to obtain a Masters Degree is Social Sciences and teach at the college level…perhaps even at Glendale Community College. Deja is a hard working student who maintains a GPA of 3.57 while working part-time. 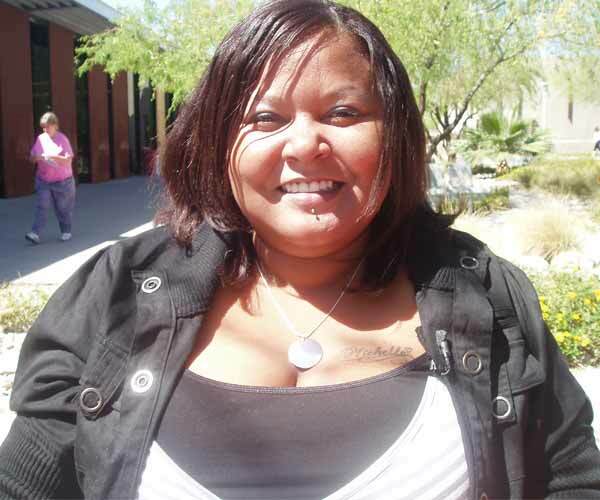 “Getting scholarships was absolutely necessary for me to get an education. It amazes me that donors who don’t know me are touching my life and making it so I can achieve my dreams. I want to be able to do that one day, and to boost student’s self-esteem and help them achieve their dreams,” says a grateful Deja.